I really enjoy digging up some fun and healthy ideas for holiday NON-CANDY treats. Today I would like to share some of my finds. My favorite place to look for crafty and creative ideas is Pinterest. There are sooo many, but I chose a handful of my favorites to share with you today. 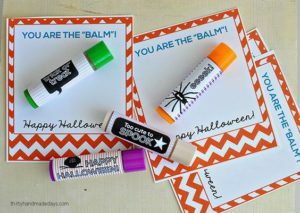 It’s amazing how you can engage and entertain your kiddos with NON-CANDY tricks and treats. Be sure to check out this site as well, for more creative holiday alternatives. 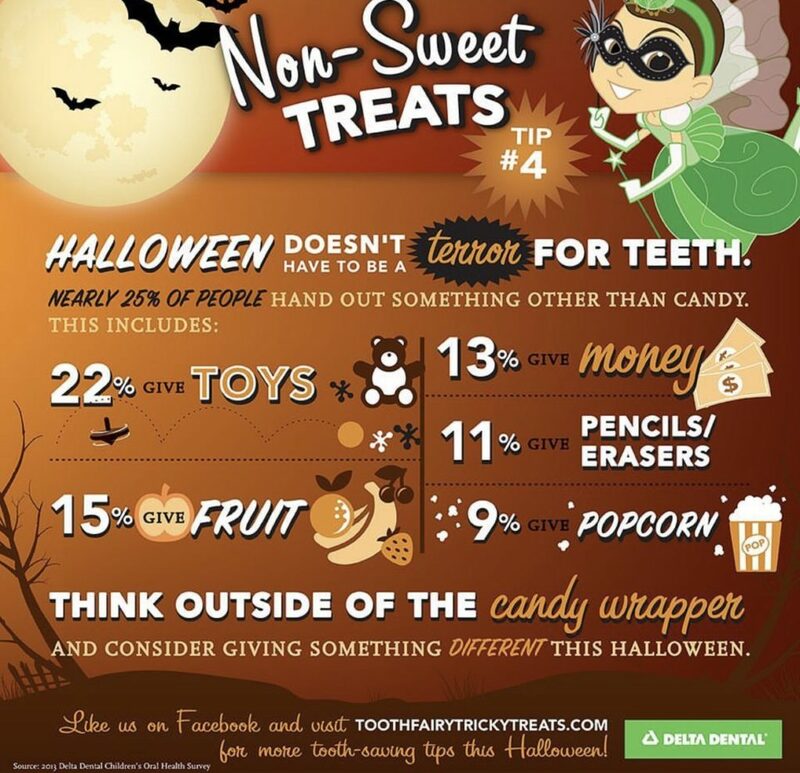 Make sure to click on the images to be directed to more detailed information and instructions about each fun treat. 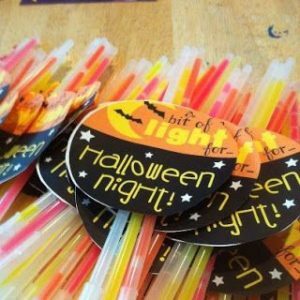 Light up the way while you Trick or Treat with fun glow sticks! 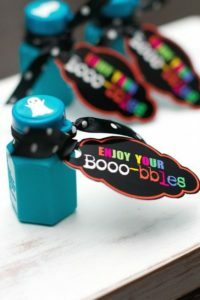 (Free Printable included in the link) Very cost effective treat bag stuffer that can be found at your local dollar store. 2. All kids love bubbles,…only these are Booo-bbles, LOL. Click the image below to access the free printable to attach to your bubbles. Again, very cost effective treat bag stuffer that can be found at your local dollar store. 3. 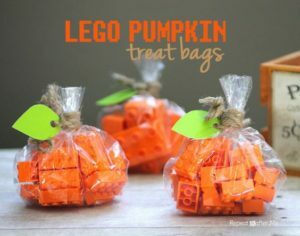 The beauty of this clever idea is that it will keep the kids busy building instead of looking for sticky unhealthy treats after your spooky Halloween night! 4. Everyone can use some lip balm! 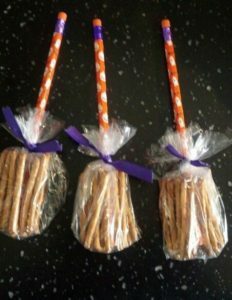 Useful treat bag stuffer that can be used beyond the Halloween festivities. 5. 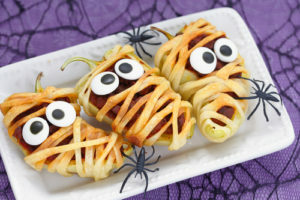 Stuffed peppers look like mummies for Halloween!